Why you still need a blog for your business. Yes, really. 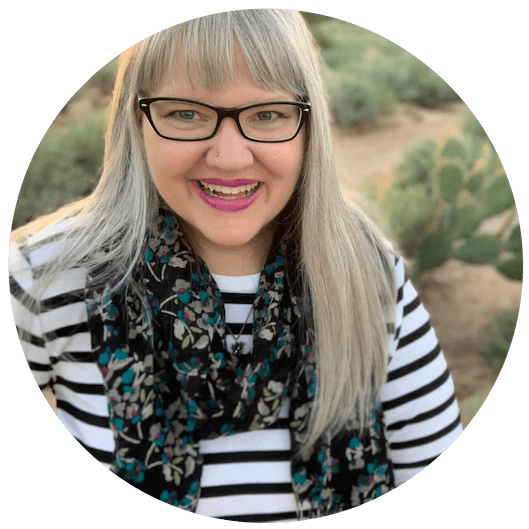 Why You Still Need a Blog. Yes, Really. Yes. Yes. OMG YES. Very much, yes. You still need a blog for your business. The biggest reason? Evergreen content. Once you write that amazing post on Facebook that gets a 100 likes, it eventually scrolls away and no one sees it again. Twitter has a fast shelf-life of posts too, since it moves so fast. Instagram as well – someone might view all of your photos and see something that catches their eye, but they might not. Definitely not 3-4 months later. Even better? Facebook actually hides some of your posts later! What?! Yes. Shocking, I know. A month or two ago, I posted to Facebook to get feedback on some blog themes I was considering using. Several links were in the post, and I got a lot of great feedback. I went back to find my own post later, and it was nowhere to be found. I finally posted about it, and a friend linked me to a third party website (outside of Facebook) that I could go to to see my entire timeline. Well, that is pretty pointless if you’re hoping to get business from Facebook. Should you share your blog posts there? Absolutely! But make sure that you keep the content on your blog as well! Now when people search for something? Your blog will come up in the search results. When you want to share a blog post again with someone, or on social media (yes, you should repost your content), you can reference your blog. It is your own personal archive of all of the goodness that you create. One that you control. Did you notice that I didn’t mention Pinterest up there? That is because Pinterest is also awesome for Evergreen content! When people pin your blog posts, they get passed around and you continue to get traffic to them for as long as other users see them. When I find a new board that has a topic I’m interested in, I often scroll down through the board to see what else is there, sometimes going back to things pinned a year or two ago. Behold, the power of evergreen content! Keep posting to social media – you need that too – but think of your blog as your home base. Your warehouse. Your distribution center. Where everything should live. That way, you can always find it again – and so can the rest of the internet as well. Do you still need a blog for your business with all the social media options out there? Yes, yes, an emphatic yes!!! 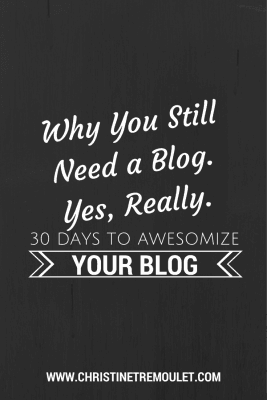 30 Days to Awesomize your Blog is my own personal journey through cleaning up my business coaching and my Have Gear, Will Travel blog — I’m sharing them with you so you can awesomize your blog too! 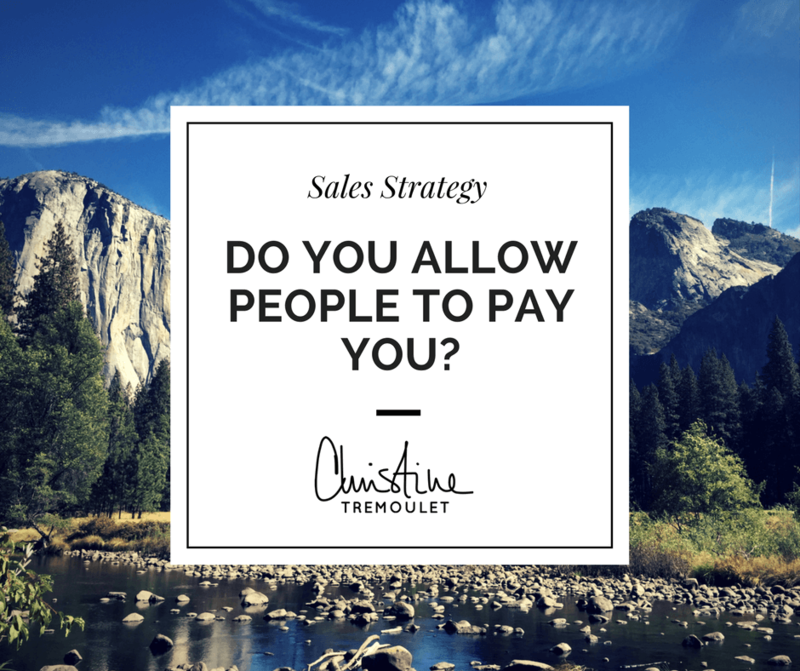 Enjoy – and be sure to leave a comment so I can visit your blog as well! Joel Gratcyk liked this on Facebook. Valerie Schooling Durant liked this on Facebook. Valerie Schooling liked this on Facebook.